There’s been a lot of talk recently about the chronic short-pouring that occurs in the Vancouver bar scene. From CAMRA Vancouver‘s rather public Twitter shaming of craft beer bars to the Vancouver Sun‘s (slightly) more scientific survey of a variety of pubs, craft or not. The results? Yes, pubs are short pouring and yes, it’s a widespread issue. 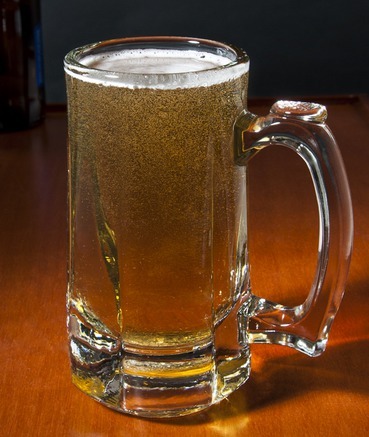 When you consider the absolute, letter of the law on the matter, ordering 20oz of beer must net you a glass that contains no less than 19.5oz of actual liquid beer. 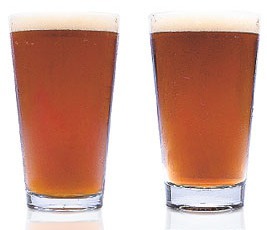 Given appropriate head levels for properly poured beer, that basically means that it’s not possible to fulfil a beer order in the same sized glass as the volume of beer advertised (aka 20oz of beer cannot be properly served in a 20oz glass). However, having said all that, I think this whole glass-vs-pour size thing is a distraction. Most bars are not short pouring to increase profits, but rather incidentally are short pouring due to a variety of other factors: common industry practice, competitive pressure around advertised size, etc. Yes, it’s not legal and yes, pubs should all get on board but, deep down, most pubs weren’t truly aiming to rip the consumer off. Well, any more than usual. Say you run a pub. Say a keg costs you $200 to buy and holds 120 14.5oz pours of beer. 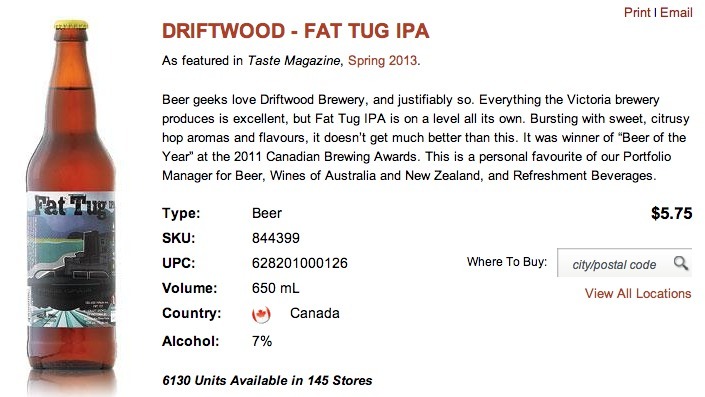 Now say you want to make a (perfectly reasonable) 150% gross profit on that beer, before expenses. You’ll sell that 14.5oz of beer for ~$4.25. Hey, running a bar ain’t cheap. Slide over to the pub next door, and they’re selling a real pour of 16oz, but still paying $200 to get that same keg. Only now it holds 110 pours because they’re actually serving 16oz of beer. In order to stay open, though, the gross margin still needs to be 150%, so they sell that sleeve for ~$4.50. A third pub, for whatever reason, sells their 16oz real pour for $5.00. Maybe they have a view. Maybe they’re all fancy-like and clean their glassware between uses. Who knows. The result is ~175% gross margin, but the short pour level of 0% shows that they’re not cheating you, they’re just expensive. However, go to the next pub down the line and the real motivation in advertising a larger pour is to gouge the clients. In this case, that 14.5oz pour is listed as “16oz” on the menu and priced at the same $4.50 as the real 16oz down the street. Bam, that’s 170% of gross profit, and that combination of short pour and high profit margin becomes a tell. Those of you who’ve read my blog for a while know where I’m going with this. If I had a list of short pour levels plus price levels for a variety of pubs I could then find the ones that are actually ripping off clients. So, I took the Vancouver Sun’s reported pint pour sizes, pint prices, and researched the raw cost for the beers they’re serving. I then applied the magic that is mathematics to see if the short pouring bars split out into two groups: those that short pour without profit increases in mind and those that do. The result? Yup, they do. The folks that short pour for reasons other than deceiving their clients have almost no correlation between short pour levels and profit. However, a different group emerges from the numbers; a group that has quite a strong correlation between the level of short pour and profit. Strip out the bars with zero correlation between pour size and profit and you get this graph of short pour percentage vs profit margin. Basically, the trend is that for every 10% of a short pour (e.g. 18oz instead of 20oz) these bars’ profits go up 100%. That guy on the top? Shortpouring 30% for over 300% gross profit margin. Note that there were other bars with 300% margin. However they were selling you what they advertised and, as such, I don’t consider them dishonest, just expensive. All told, though, just under 50% of the bars surveyed by the Sun wound up fitting the trend line very nicely. Next up, I took it a step farther. If there’s an entire sub-section of the pub industry dedicated to ripping off clients via short pours, wouldn’t it reason to follow that there’s a support industry out there? I mean, they’re not simply selling you 14oz in a 20oz glass and hoping you won’t notice. Nor are they placing a 14oz glass in front of you and banking on you shutting up and taking it. Nope, they’re using deliberately misleading glassware. On the top is the standard “shaker vs sleeve” debate. One of those glasses holds 16oz while the other holds 14.5oz. You can tell the difference by looking at the bottom. This, plus a 16oz sleeve being delivered when a pint is ordered, is what you’re most likely to run into in the wild. Oh, you thought they’d call it “helps you rip off customers?” Nope. When you’re dishonest, you need a euphemism to hide behind, and the dishonest pub has latched onto “portion control.” That monster glass? It holds 10oz. 10 freaking ounces. In a glass you could knock out a horse with. Those divots on the bottom deliberately hide the fact that the bottom inch of this sucker is pure glass. Those sharp angles likewise conceal just how thick the glass is on the side. There is only one possible reason to make a glass in this fashion, and it’s not about being fair. Don’t worry about being limited to 10oz, though; they almost make virtually identical glassware in 16oz, 14oz, and 12oz. Same height, width, style, and weight (when full of beer). They don’t specifically say so, but these glasses are basically designed to enable slowly lowering pour size as your patrons get drunker so as to maximize profits/fraud. Forget the glass vs pour size debate. Education will solve that on all sides. It’s these bastards we need to go after. Subscribe to comments with RSS or TrackBack to 'Giant Glasses and Tiny Beers'. 1/ A few of the breweries I contacted for pricing info requested that their pricelists remain private, or at least not be blasted all over the Internet. Releasing the full cost list would allow folks to figure out licensee pricing for those products. 2/ This report has a sample size of 1. I don’t feel comfortable throwing around accusations of fraud based on n=1 research. If I were to publicly out the scammers, I would need a much better, repeatable study, comprised of many visits to the same establishments over time. 3/ Most of the info is public already. Between the Sun article and a lengthy call to your local LDB with a patient CSR you should be able to reconstruct my exact numbers. This is starting to annoy me as well: respected local brewers promoting $5 “happy hour” sleeves as a deal?? @Connor – I kinda consider it to be a brewer’s job to pimp locales that sell their product. A $5 sleeve ain’t too bad a price at most places, but at a place in Gastown that normally sells that sleeve for $7 it’s a bargain. Heck, it’s only $1 more than the absolute legal minimum price. Perhaps Four Winds should take issue with the new minimums, but that won’t happen as long as there are real, damaging consequences to licensees for openly criticizing LCLB policy. I wish that our LCLB wasn’t vindictive and petty, but then again, I kinda wish they didn’t exist at all. I agree the places with deceiving glassware are by far the biggest crooks. You see this in a lot of packaging at the supermarket too, but at least they post the weight so one can make an informed decision. A $5, 16 oz sleeve on Happy Hour truly shows who was “consulted” during the process. It’s not even the minimum price, but sadly still cheap for the area. I prefer Happy Hours that have 1/2 price appy’s and cheaper drinks (hello USA), but I can’t blame the bars for playing this game since downtown real estate is insane. For Four Winds, considering a 12 oz bottle will run you about $2.50 in a LRS it’s not terrible to pay $5 for 16 oz (glass, so likeley 14.5 oz beer). Let’s be clear about something: the way this transaction is supposed to work is that the bar or brewery offers whatever amount of beer they choose to offer at whatever price they choose to offer it at, and the consumer chooses whether to accept the offer or not. It’s only unfair if the terms of the offer (whether they’re explicit or implied) are not met, either because of deliberate deception, negligence or incompetence. What Chuck is highlighting here is the biggest problem: deliberate deception, a.k.a. petty fraud. If you think that the beer offered is too expensive, that’s another issue entirely, but it’s not a matter of dishonesty. You should take matters in your own hands by not buying beer you perceive to be overpriced, and by buying cheaper beer from a competing bar or brewery. Bomber ESB is currently on sale at BC Liquor stores for $10.50 a six-pack.